Haingo was born in a tropical downpour. 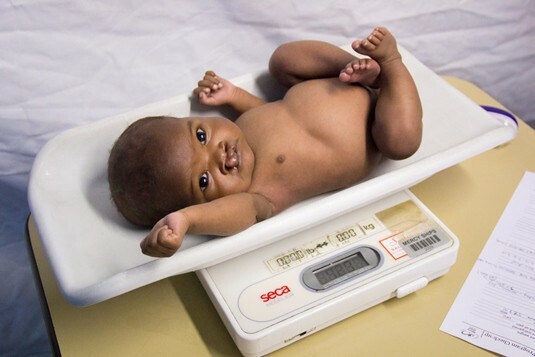 In the hut’s dim light it was clear Hiango’s tiny mouth was slashed by a bi-lateral cleft lip. 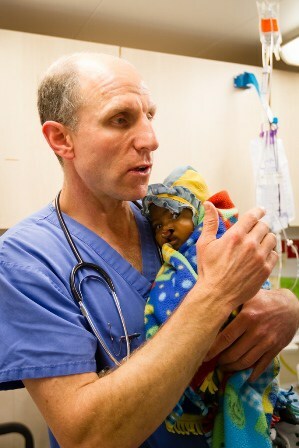 Her father immediately rejected the newborn. 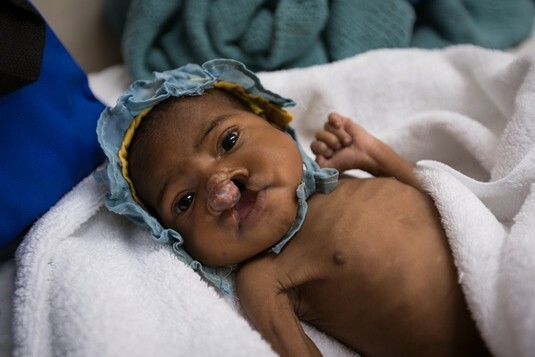 Viviaby immediately loved her baby girl and was shocked when her husband declared, ‘In our family, we don’t have babies like this!’ No one in their Madagascan village had heard of this disfigurement. But the visible deformity was the least of Haingo’s problems. Viviaby kept Haingo alive with diluted canned milk – each can cost a day’s wages. Still, Haingo failed to thrive. ‘She was getting more and more skinny. 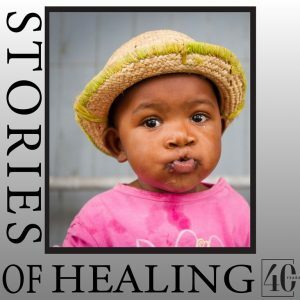 I was afraid, I was always praying.’ At seven months old Haingo weighed only 2.2kg – she was smaller than a newborn. Superstition and cruel comments crushed them on every side – until one day women who recently received free surgeries on the Mercy Ship walked by their secluded village. They heard about Haingo and told Viviaby to find the ship. 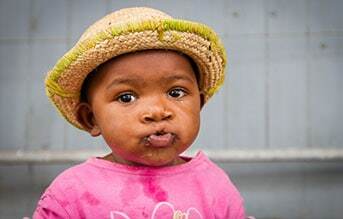 So for two days, petite, courageous Vivaby carried her baby through the rugged countryside to find transport to the Mercy Ships patient screening in her region. The urgency of Haingo’s situation was accessed as critical by the Mercy Ships screening team and they were rushed to the hospital ship. Paediatric nurses began around-the-clock emergency nutrition. Haingo began to gain weight and become responsive. Viviaby talked with other mothers of cleft lip babies in the ward. She was comforted and no longer felt alone. After 10 days Haingo was stabilised. 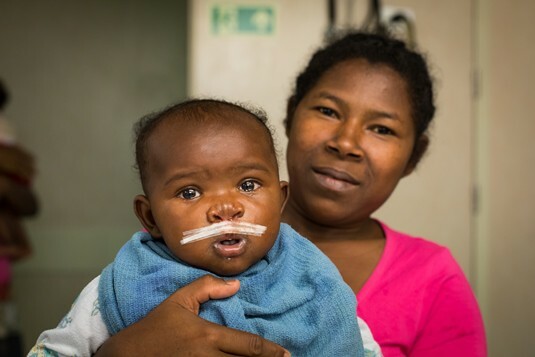 They were discharged to the HOPE Centre to continue the feeding programme and wait until the baby was big enough for surgery. As Haingo grew, she tracked movement with eyes that were previously glazed and waved goodbye with chubby arms that had been so frail. After five months Haingo reached the vital 3.5 kg ‘average weight for height’ benchmark. 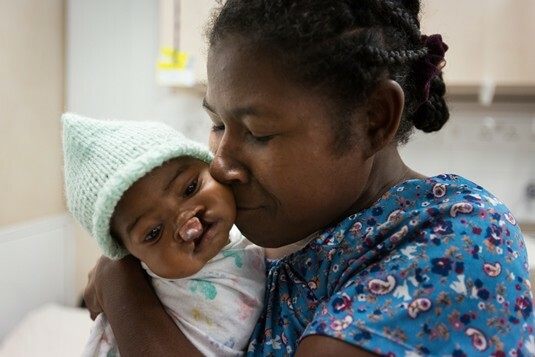 At last, she was strong enough to undergo the first operation – to repair her cleft lip. When Viviaby and Haingo returned to their village, Haingo’s brother was distraught. ‘You exchanged my sister!’ he accused, not recognising her.